With over 80 fantastic restaurants in Breckenridge, it can be hard to choose where to go! Luckily, we’ve organized a helpful guide of the best places to check out. 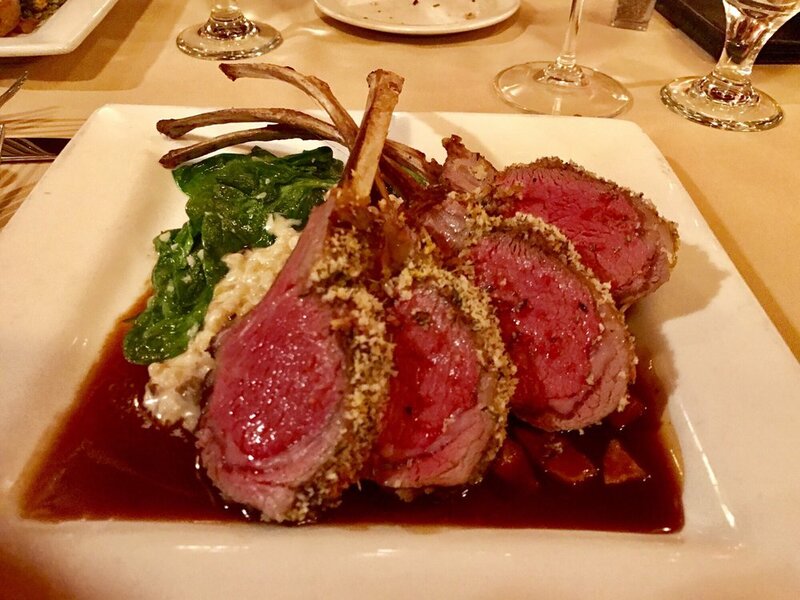 From lunch deals to fine dining to late night bites, we’ve got you covered for great food. Happy dining! The Crown – The Crown is a local breakfast favorite. Order any of their unique breakfast sandwiches/wraps to-go and be sure to grab a delicious coffee or hot chocolate as well! They also offer a variety of rotating pastries. Breakfast is served until 11:30 every morning. Bold – If you’re a brunch fan, Bold is your place. 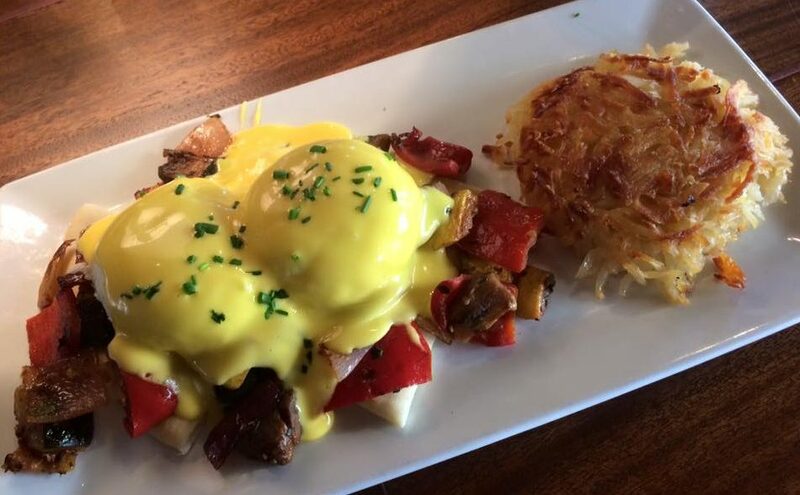 Offering breakfast until 2pm every day, Bold has unique twists on your favorite classics, such as the pork belly eggs benedict and breakfast pot pie. If you’re more of a sweet breakfast kind of person, don’t miss their nutella pancakes or their “ice cream for breakfast” waffles! Dining Deal: If you’re an early riser be sure to take advantage of their 9 before 9 deal – $9 breakfast before 9am! Downstairs at Eric’s – This popular restaurant comes with a huge menu and some of the best prices in town, but be warned: any cash you save on dining here will likely be used up by your kids begging for quarters to play in the large arcade room. 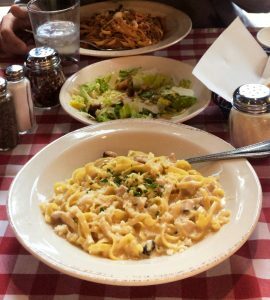 A family favorite, Eric’s is well-known for their pizza and wings but offers much more and surely has something for everyone. Dining Deal – Don’t miss their great daily lunch deal! From 11am – 3pm get a sandwich and side for under $10. Flipside Burgers – If you find yourself craving a big, juicy burger, head on down to Flipside! Flipside has an assortment of fun and flavorful burger creations, along with tempting sides and starters such as truffle fries or Wisconsin cheese curds. If you’ve got room, indulge in one of their decadent milkshakes such as the apple pie shake or brownie shake, with the option to make any of them alcoholic. If you’re not feeling a burger, they’ve got plenty of other options such as assorted salads and mac and cheese. Hearthstone – If you’re looking for a truly incredible Breckenridge fine-dining experience, Hearthstone restaurant will not disappoint. Hearthstone features unique, gourmet dishes with inspiration from local CO flavors. The restaurant even offers an entire gluten-free menu. Dining Deal: Catch the restaurant during happy hour for $5 small plates such as Colorado lamb meatballs or jalapeno stuffed shrimp! Bangkok Happy Bowl Thai Bistro & Bar – This is your place to go for some tasty Thai food! They have all your favorites such as pad thai and drunken noodles, along with Japanese options, such as sushi. Bangkok Happy Bowl even offers a specific vegan menu for those with dietary restrictions. Giampietro’s – Whether you’re craving creamy fettuccine alfredo or mouthwatering eggplant parm, Giampietro’s knows what they’re doing. Offering huge, perfectly executed Italian dishes at extremely fair prices, you’ll want to come back again and again. If you’re looking for pizza, they offer both Sicilian and New York Style, and even pizza by the slice! Mi Casa – If you’re in the mood for Mexican food, give Mi Casa a try! Mi Casa features all your favorites such as tacos, quesadillas and enchiladas, long with some unique creations such as their avocado frito: an avocado fried crispy in cornmeal batter and stuffed with chicken, shrimp, or veggies. Dining Deal: Mi Casa offers free chips and salsa every day from 3-6pm and at 5pm they roll out free nachos! They also have a stellar happy hour deal from 3-6 featuring 3 tacos for $5, $6 PBR pitchers, and $6 baskets of wings. Reddz Above the Blue – Though the official name of this tasty food stand is “Above the Blue”, it is only referred to by locals as “Reddz.” Open ’til 2am every night, Reddz offers a selection of deliciously-executed late-night grub from gyros to meatball subs to mac and cheese! Prices are fair and the food is fantastic. Like us on Facebook for more local tips! For more info on weekly specials and events check out Breck Insider!